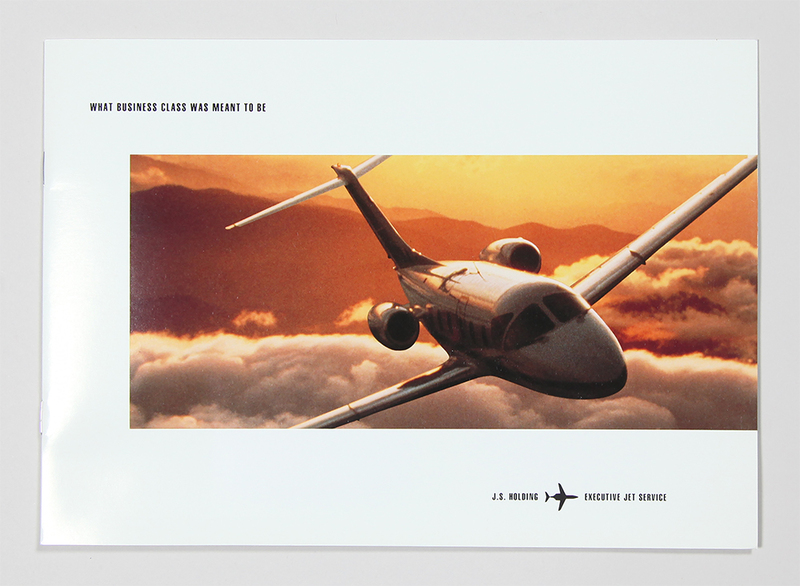 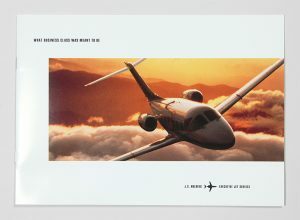 A leasing brochure for Autodie’s jet. 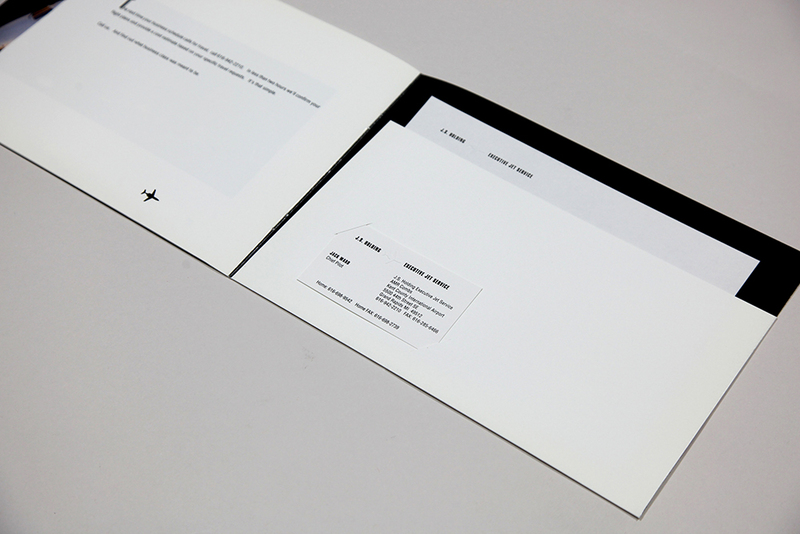 A pocket at the back holds a business card and small stationery. 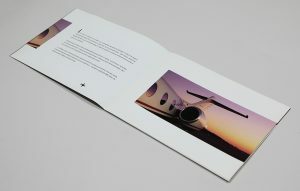 Size w 10.25" x h 7.25"
Techniques Offset printing, 4c process. 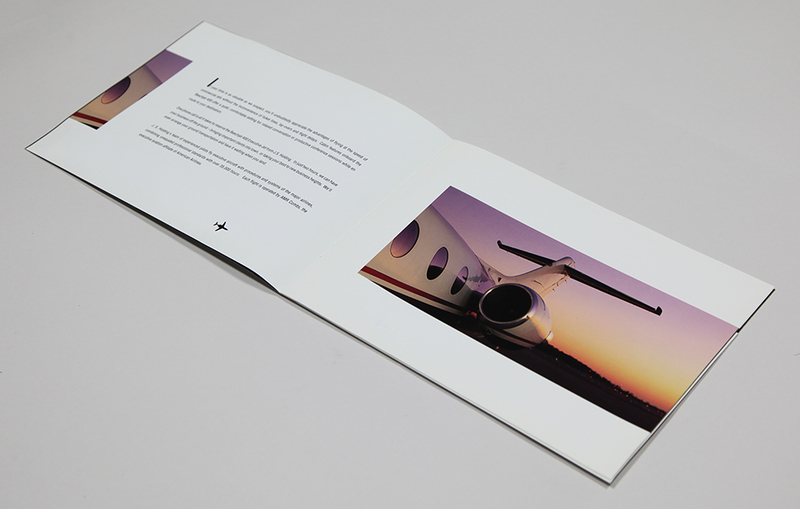 Diecut, scored, folded, saddle stitched.